Walter Dröscher and Jochem Hauser have graciously provided a collection of excerpts from their 526 page upcoming book “Introduction to Physics, Astrophysics and Cosmology of Gravity-Like Fields”, an elementary primer describing breakthrough physics for propulsion and energy generation technologies. I wish to thank both of the authors for this preview of sections from their book, which is to be published this coming November. 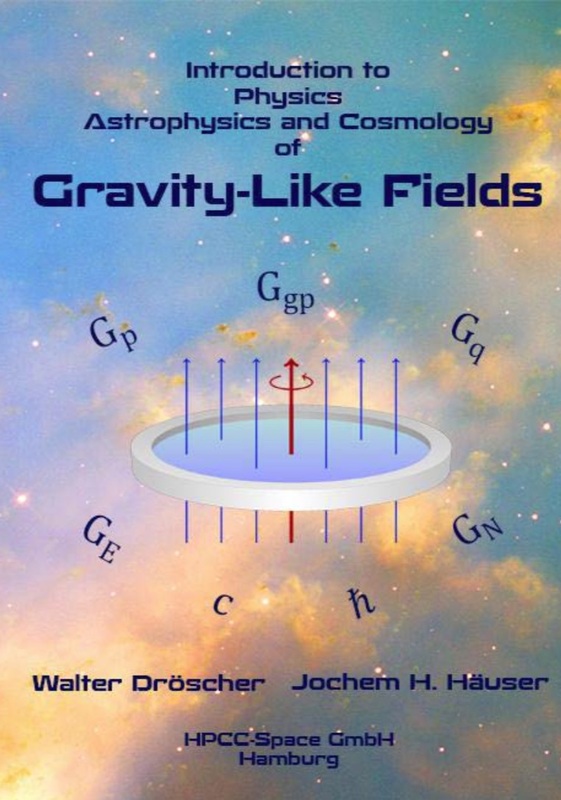 This preview begins with the title cover (a portion of which is shown above) and a short message to the reader explaining the highlights of 20th century physics that led to this point in understanding gravity. The excerpt also includes a full executive summary, acknowledgments, prologue, a full listing of the table of contents of the book, lists of nomenclature, the first two pages of Chapers 1, 2, and 11, glossaries, a name index and subject index. The except reveals a very substantive and complete study of gravity-like fields and is sure to become a new cornerstone in physics once published. Here is the link to the amended excerpt.